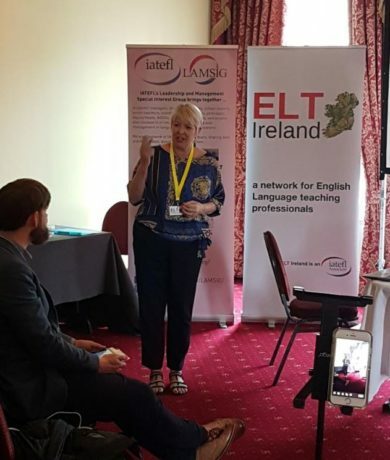 Julie Wallis represented Eaquals at the ELT Ireland & LAMSiG Joint Management Event – #LAMELT. The event took place in Cork on 15th September and welcomed 30 delegates from 15 different achools, including several Eaquals member centres. Plenary Title: Oh No! It’s appraisal time again! How can we use ‘Performance Appraisals’ to set goals, bench mark and gather formal and informal feedback? In this plenary I will look at how we have developed appraisals to include the learners as well as the entire staff and how this has benefited the management, the teachers, the administrative team and, most of all, the learners. We will look at the development as a whole and at how the school has made use of this system to involve learners in the decision making process and to give them (and the entire staff) a higher level of autonomy.